Another page from my sketchbook. 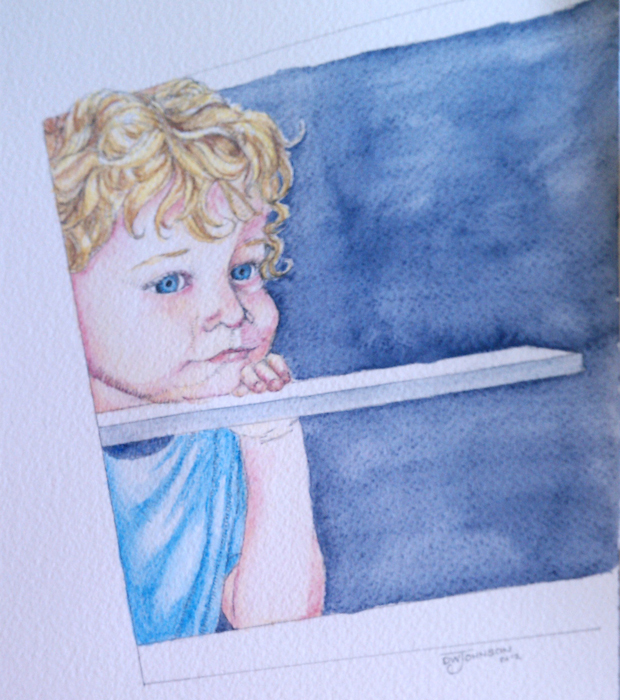 This one is a little pen and ink and watercolor of our grandson, Eli. I snapped the reference photo for this when they were visiting us a few months ago. He was captured peeking out from the side of the rocking chair, engrossed in a cartoon on television. With such adorable references, how could I not have a successful painting!?! Since this photo was taken he acquired a “big boy” haircut and thus, there are no more curls. I am so glad I was able to capture them! Hope you enjoy this as much as I enjoyed painting it! Another great portrait. Love this one.